Care to watch a feel-good movie amped with energy and wish fulfillment? If yes, Bohemian Rhapsody (2018) is just the film for you. With recently released films drenching audiences in the harsh cold waters of reality such as Boy Erased and The Hate U Give, it’s refreshing to go see a movie bursting with a warm-hearted finesse that gets the whole audience wanting to sing along with Queen at the top of their lungs. With all the stomping and clapping and glitter of the film, it becomes a challenge not to smile up at the screen and mouth the lyrics with the actors. The camera work has an interesting way of showing the world directly through Mercury’s eccentric point of view, which gives audiences the thrilling opportunity to put themselves directly in the vintage boxing shoes of one of the most successful artists of all time. What really makes the film work is lead actor Rami Malek’s utter commitment to the role of Freddie Mercury. Everything seems to be on point from “gesture to gesture” as Malek claims. We can see this with everything from the unique overbite, to the facial expressions, to the blazing fire both Mercury and Malek are able to equally convey from live concert to the big screen. Although the movie is labeled in the drama genre, in lots of ways Bohemian Rhapsody feels more like a fantasy film than the Fantastic Beasts movie playing only a few theaters over. The fantasy of going from zero to hero is conveyed convincingly throughout the film, as small-town misfit Farrokh Bulsara transforms nearly in the blink of an eye into the silver sequin rock star known by the universe as Freddie Mercury. Perhaps one of the most interesting and mood-boosting aspects of BH is watching Queen grow from a local band playing in the basements of college parties to one of the most epic best-selling bands of all time. 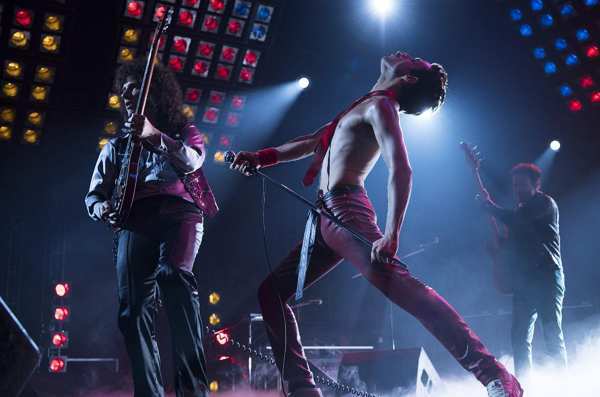 The film doesn’t shy away from shoving the success of Queen down audience members’ throats, but it somehow manages to do so in a friendly and inclusive manner, making viewers feel as though they too are members of Queen, simply along for the journey of triumph and celebrity. There is a lesson to be learned in this film, which is the importance of embracing the hell out of what makes you “strange” by society’s standards. From Mercury’s eccentric style to his sexuality, to the experimental music mixings of rock & roll alongside opera, all of the bohemian aspects of Queen are what makes them one of the most beloved bands of all time. 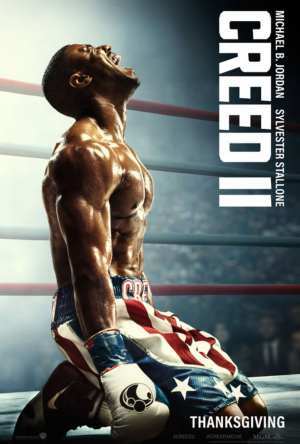 Although the film has already been out for an entire month, when I went to see the movie this Tuesday there was not a single empty seat in the theater. It was entirely packed with seniors, teens, adults, and even some children. We entered the theater as fellow audience members but left the theater as a community. Nearly everyone was smiling, skipping, and singing their way out of the cinema with a newfound glow on their faces. Some movies are just movies, while this film is an experience. On your car ride home, if you don’t blast “Bohemian Rhapsody” as loudly as your speakers will go, are you really living your best life? If you’re looking for an upbeat flick filled with music and excitement, check out Bohemian Rhapsody. You’ll leave the theater wanting to embrace what makes you “strange” because ultimately your eccentricity is what makes you shine the brightest.